Twitter competition – you can win a desk paddler ! Fancy getting some exercise while sitting at your desk? We have one of these desk peddlers to give away! Just retweet and follow! 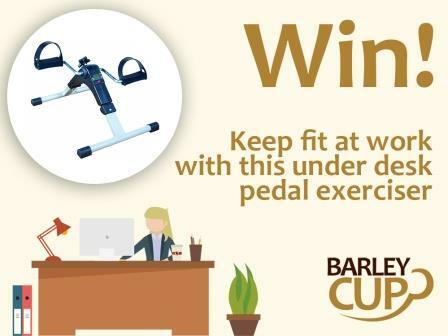 To be eligible for the competition you must retweet at least one competition tweet from @BarleycupUK between 10:00am 23rd June and 23:59pm 26th June 2017. You will also need to follow @BarleycupUKThe winner will be randomly selected from all entries received by 23:59pm 26th June 2017. The winner will be randomly selected by 28th June 2017.